You have tapped into the ideal resource if you are interested in flood insurance in Galveston, Texas or flood insurance in Houston. Our agency, Rick Tinker Insurance, has been building on our reputation for quality insurance coverage at affordable prices for well over a quarter of a century and counting. When you have been able to withstand the test of time in this manner, you must be satisfying your clients, and we go the extra mile to do just that each and every day. If you would like to hear what others have to say about the flood insurance and other forms of coverage they have received from us, take a moment to visit our testimonials page. 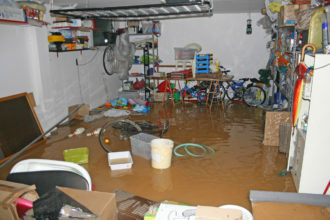 Many people are not aware of the fact that a standard homeowners insurance policy does not cover flood damage. This is why separate flood insurance for Houston and Galveston area homeowners is very important. The flood insurance Galveston and Houston residents can obtain through our agency is rock solid, and we have the ability to get you the flood insurance you need at a price that will fit neatly into your budget. Plus, if you ever have to file a claim, we will stand beside you every step of the way to make sure that you get what you deserve from the insurance company. In addition to the work that we do with individual homeowners that need flood insurance, we are also the premier resource for commercial flood insurance in Houston and Galveston, Texas. Regardless of the nature of your business, we can connect you with the ideal level of coverage, and we consistently find that our customers are pleasantly surprised when they get quotes from our agency. We have been able to grow our business for decades because we sincerely care about the well-being of our neighbors. When you work with Rick Tinker Insurance, you will immediately recognize our commitment to personalized service. And as we have stated, the relationship does not end when you go forward with your insurance. Our doors will be wide open if you ever need assistance with a claim. If you would like to learn more about the flood insurance Houston and Galveston homeowners and businesspeople can obtain from us, we can be reached by phone at 281-484-7158.